Happy Tuesday friends! Today I am so excited to share a bit more about my experiences with shopping and exploring the Zulily website. To be honest I had never spent much time on Zulily before. Years ago I ordered one item off the website and then never did return to try shopping again. My experience at the time was good, but for some reason whenever I go to do some online bargain shopping, I never think immediately of Zulily. Honestly, after these last few days of looking around the website that will forever change in the future! One of the things that surprised me the most as I browsed the Zulily website was all of the different products that were offered from such a wide variety of brands. There were tons of different brands in all of the categories- from fashion brands to house products to crafting supplies. 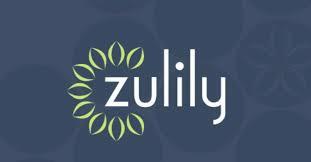 I am confident that if you are searching for some specific things for any area of your life you could easily find what you are looking for on Zulily at a discounted rate. Each day there are thousands of new items added at 6am and this provides a fun (daily) browsing opportunity! One my favorite items was this adorable navy dress from ModCloth. This dress originally retails for $99.99 but is available on Zulily for $37.99! I love that it is the perfect dress for the rest of the summer and is the perfect transition piece to fall and would even be perfect for some upcoming holiday parties. You can find it HERE! It has NEVER been a secret on this blog how much I love the company Joules. So imagine my delight and surprise when I found that Zulily carries many different Joules products at a HUGE discounted rate. These rain boots are some of my favorites (remember my red pair that I love?!?)! But there tare tons of other Joules boots and products too that are available for a huge discount. You can find these rain boots HERE. Another favorite thing that I found that I loved on the Zulily website was this cute flirty dress from ModCloth. It reminds me of the dress that Kate Middleton wore the day after her wedding as she and Prince William were walking around the palace gardens. It is so cute and I love the Indigo color! I plan on ordering this dress and taking it with me for my upcoming trip to Prince Edward Island! You can find it HERE. Two things that I ordered from the website were these scrapbook paper collections. The price was unbelievable and they will be so helpful for orders and items for the shop. You can find the BoBunny Garden Party Collection Pack HERE and the Echo Park Paper Co Fall and Family Scrapbook Paper Pads HERE. If you love scrapbooking or just have a love affair for pretty paper like I do, then Zulily has tons of crafting options to check out!